For all who are flying on water! A float-flying-club is based at Tornado’s Main Lodge. 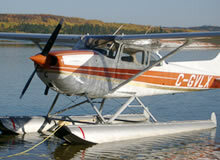 Interested pilots should contact www.float-flying-club.com for more information.